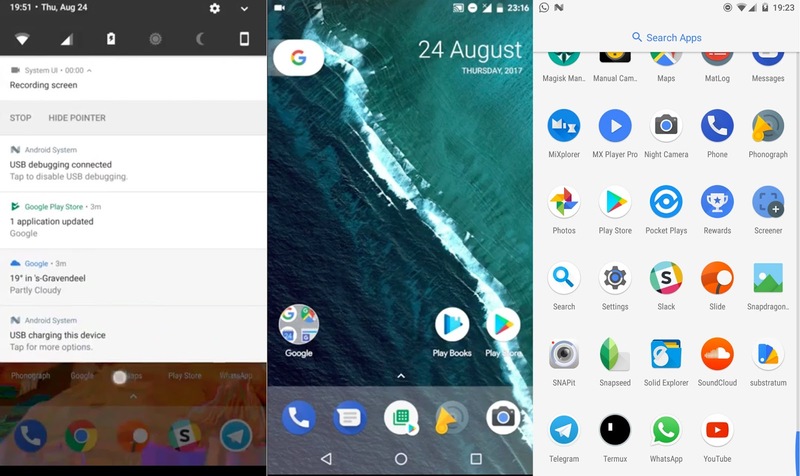 Download Pixel launcher 2.0 apk for any device and turn them into android oreo. It is basically android oreo 8.0 launcher for any device weather it is rooted or not rooted it will work on both devicel. You can also install this theme on lineage os roms. A couple of months ago we covered a port of the Pixel Launcher that was made available for devices which weren’t able to install it from the Play Store. This port continued to be updated throughout the month but Reddit user AmirZ said they would come back and do another once Android Oreo was released to the public. With that happening earlier this week, we thought it would take longer for this update to come out but luckily that wasn’t the case and version 2.0 of the launcher is now available. #Download Pixel Laucher based on android oreo 8.0 for any device. The initial port took a lot of work, but with help from another developer named DeleteScape, they were able to get something working for the public. With the experience gained from before, AmirZ says they’ve been working nonstop these last couple of days and now the initial release of the Pixel Launcher 2.0 update is available. Before, they went with a “don’t fix what’s not broken” philosophy just so there was a final product released. This time though, we have a bunch of extra features tossed in here. So the developer took the AOSP Launcher3 base and added the following Pixel features on top of it. . . But as mentioned, there has been a lot of additional work added into this release including. . . Previous articleIt’s Official, Android O Is OREO 8.0 And LineageOS 15.0 Begin!